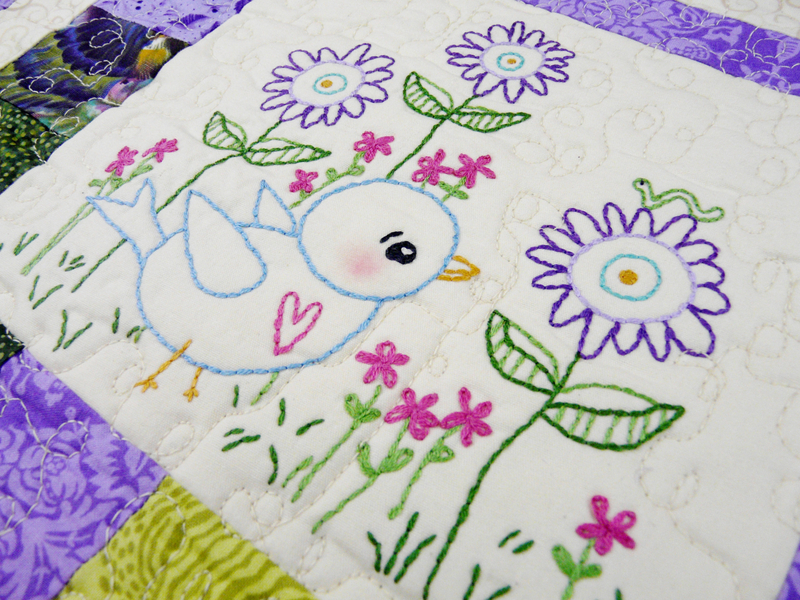 Lighten your spirit with this sweet hand embroidery quilt design. What a perfect way to decorate your home, add sweet charm to a nursery or make it into a gift for a friend who needs some cheer! 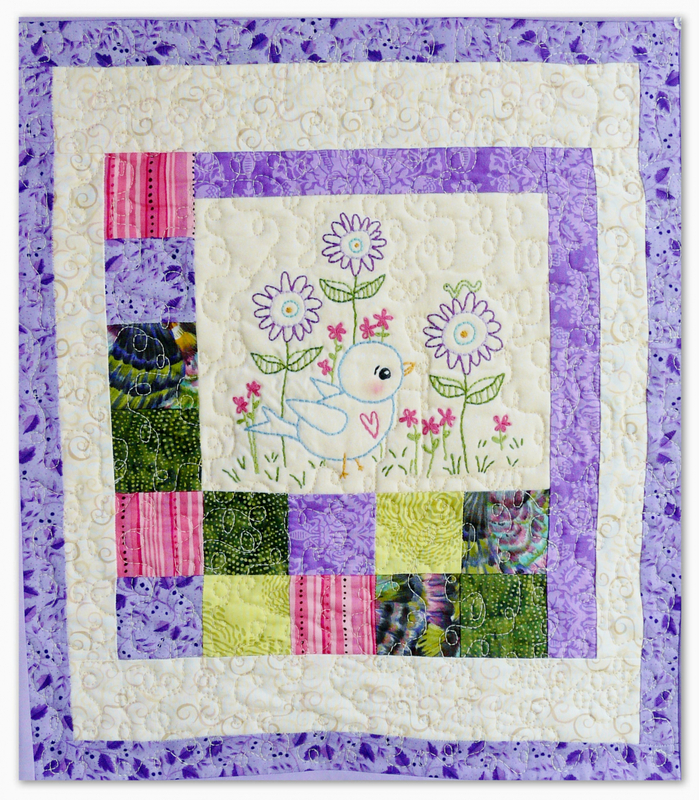 Make the design into the small quilt as shown or a pillow! 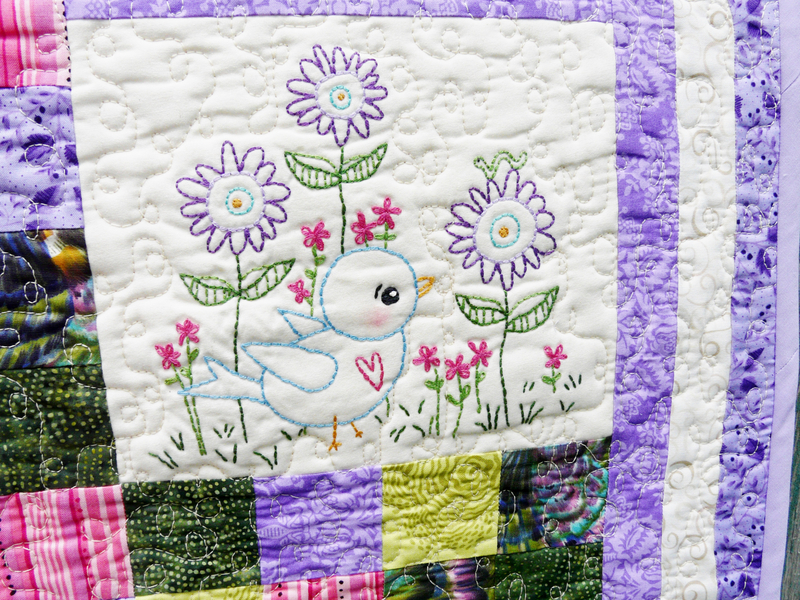 It is very fast and easy to stitch up! There are complete instructions on how to assemble the quilt too....plus...There are easy to follow diagrams in the pattern too! Embroidery design measures: 7 1/4" x 6 5/8"
Quilt measures: 16" x 18 3/8"